Thanks for stopping by today - it's nice to have you here. 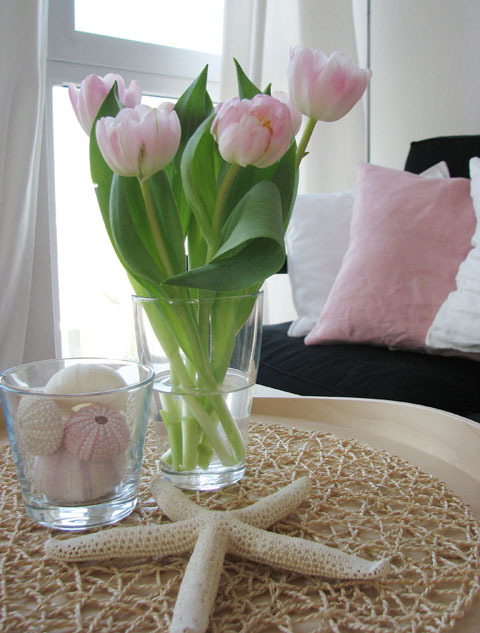 Spring has come into my home and with it I feel my spirits lifted and my energy levels back to normal. I love how the seasons are so clearly defined here in Germany. New Zealand has great weather but it can be very changeable. I re-decorate my home often and a change of season is the perfect excuse. 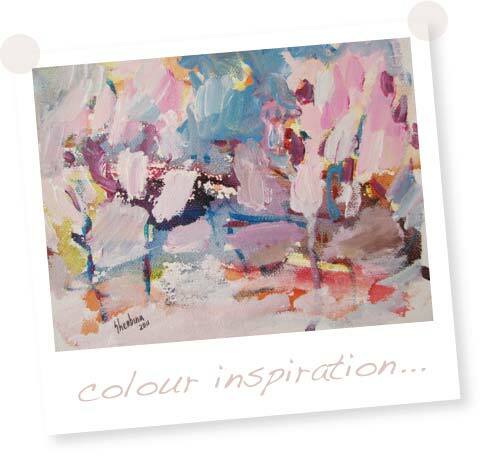 My spring colour inspiration came from this abstract painting I purchased on our recent holiday. It's by artist Svetlana Sherbina. The bird cushion is from the latest H&M home collection. Spot Holly Becker's Decorate book on my coffee table? I've been looking at it every opportunity I get. Here is a link to a recent review I did. I just started my blog and started following yours. 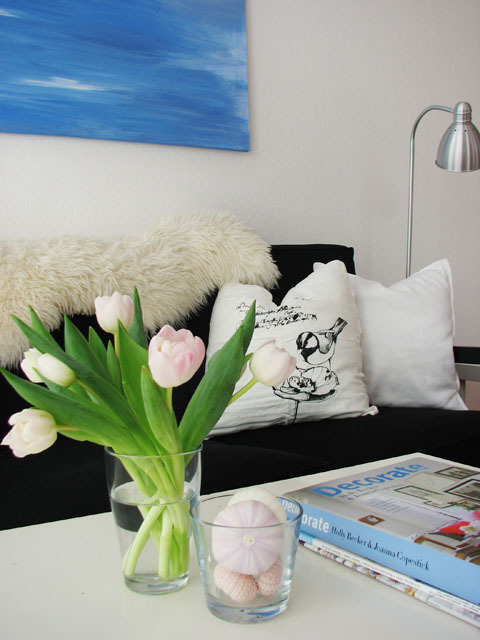 Those Tulips look so inspiring and I am loving that bird cushion from Ikea...so adorable. Things are looking great Nina. I can't wait to see more of your home. Oh, and LOVE that bird pillow! Pink is a fabulous color in springtime :) I see you have bought "Decorate" already. I want it so bad!! I guess I have to buy it online somewhere, since they don´t sell the book here in Norway. The DYMO machine is bought on Amazon.com btw. Hey Nina...I nominated your pretty blog for the stylish blogger award!